What are the three most important things in life? Coffee, coffee, and more coffee — at least, if you’re a Gilmore, that is. 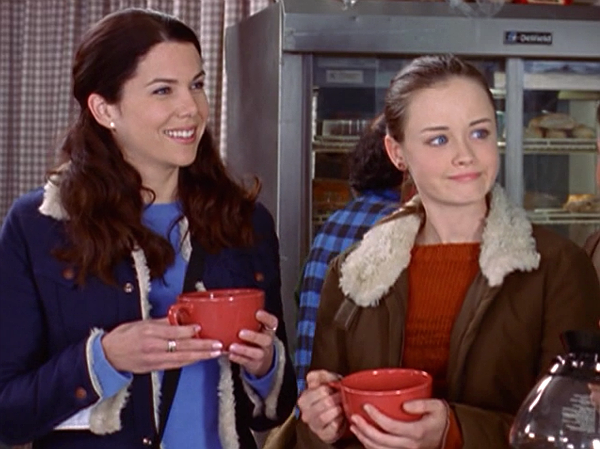 This Wednesday marks the 16th anniversary of Gilmore Girls (and 51 days until A Year in the Life premieres), and Netflix wants to help us celebrate. So, for one day only, all across the country they are turning coffee shops into Luke’s Diner, and the coffee is on our favorite streaming site. And those are Lorelai's two favorite words: FREE COFFEE (you just have to wake up early for it, and those are three of Lorelai's least favorite words: Wake up early). You can check out a list of all the coffee shops participating here (there’s at least one in every single state), and set your alarm extra early for Wednesday morning. You’ve got a coffee date.